So what the heck is a wedding and family portrait photographer doing shooting the Chicago Polar Bear Swim of 2010? The only answer I can think of is that I am both a lover of photography and a little bit crazy. This polar swim is becoming a yearly ritual for me. It all started last year when I went down to North Ave Beach on March of 2009. I was not sure why I was there. It was cold. I was without friends. I had no coffee. All I had was my camera and a crazy idea that I would get some cool photos of a few brave and shivering people. I ended up having a blast and vowed to return this year. This time I was warm and ready with some coffee and a few of my photog friends. I was also there cheering on my best friend David Fowlie. What a brave and cold soul. I had a blast and cannot wait to do it again in March. You can get more info about the Chicago Polar Plunge here. You can check out some of Gary Middendorf's (my brother-in-law) photos here. Chicago Polar Club Swim 2010 from Otto Rascon on Vimeo. By The Way: It would have been nice to have had my 400mm lens today. I then could have captured more facial expressions. Lesson learned: bring my lenses!!! I am a NASA and space geek. I love the moon landing photos from Armstrong and Aldrin (pure medium format joy!). I loved "Apollo 13" and make sure to watch any PBS special that's focused on space. Think about all of the amazing technology it took to send people to the moon? It is just amazing stuff to me. I actually visited the NASA station in Florida a handful of years back and LOVED it. I wish I would have seen an actual take-off. That's cool, I still had a great time as did my wife. By The Way: I don't think that the moon landing photos were fake. I also wonder what camera system they would take into space if ever there was another moon landing. Jan Michele Photography – A very talented wedding and family photographer from Washington DC. Meaghan Elliot Photography – A chocolate connoisseur and creator of some really sweet images! Rodney Mickle – A cool and talented art and fashion wedding shooter. By The Way: I REALLY want to see the Lincoln Memorial. Hey, I am from Illinois! I have to represent. The Big "Manzana" & U2 Have Have Their Own "Way"
By The Way: My favorite U2 song is probably "One." But a VERY close runner up is "A Sort Of Homecoming." Brilliant stuff. Meegan Weaver – A very talented wedding and family portrait shooter! Her images pop with color and personality! Scott Pickering –A very driven shooter that has an eye for different styles. Table 4 Weddings – Amazing photographers. Check out their work! Catie Ronquillo – Catie rocks and simply keeps it real. She is also a fellow Dane Sanders Fast Track Photographer workshop attendee. Some places are like your auntie, but there's no place like - Miami! 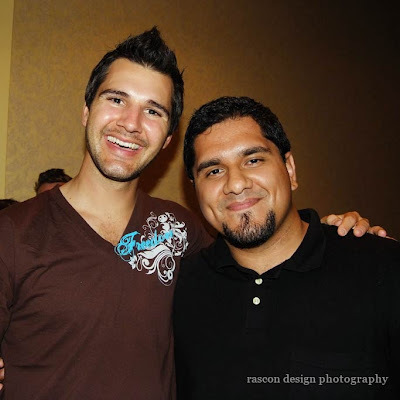 Roy Llera Photographers – Super fun and amazingly talented wedding photographers. Check them out! Todd Good – Is a talented family and wedding shooter. A dude after my own heart :) Lydia Shannon – Has a very fun blog and is super versatile, shooting families, weddings, seniors, etc. Check her out. Doreen Kline – Another Floridian talent shooting both weddings and families. I was recently interviewed and highlighted on Collages.net's blog. Here is the link to read the interview: Collages.net Blog. I am honored to be a part of Collages blog, as they have offered me the best customer service and provide the best photographic products in the industry. All of my clients have absolutely loved their wedding albums and love the on-line photo ordering system that I host my wedding images on. I want to provide my clients with the best quality product available and Collages.net allows me to do that. So check it out and read on to learn a bit more about me and feel free to leave some comment love. Thanks Collages.net! I really enjoy a good cup of coffee. It is a total comfort beverage that just makes for a good morning. But my tastes in coffee have changed throughout the years. I started drinking the instant stuff my dad used to drink and I thought "this coffee stuff is pretty nasty." Then college came around and I started drinking Dunkn Donuts' coffee. I really enjoyed this brands coffee and pretty much stuck to it for years. Then I decided to drink Starbucks coffee just to give it a try. I remember my first cup of coffee from Starbucks and thought "this stuff is nasty" and then proceeded to run to Dunkin' Donuts. But then after a while I actually started to enjoy the stronger tasting coffee and now enjoy it just about everyday. So I would be tickled pink to visit Seattle one day and check out the original store. But Starbucks is not the only reason I would like to visit Seattle. There are some really fantastic photographers that reside in Seattle and I think it would be amazing to meet and shoot with them. Chris Waters – A very cool website! Check out his Polaroid section. Awesome stuff. Eternal Reflections Photography – Beautiful and very romantic images. I love the images of the bride with the mountains in the background. 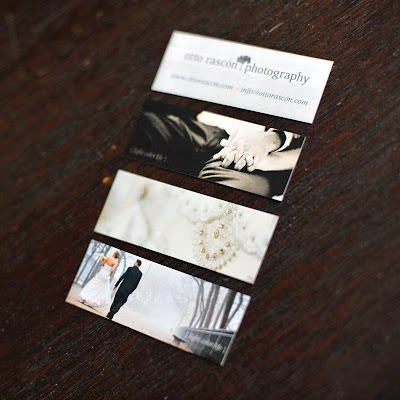 Jenny GG Photography – Super creative and amazingly versatile! I love the "i see the family" images. Rockie Lee – Wow, Rockies images are amazing. And he shoots with a medium-format camera. That is too cool. Candice Cunningham – Amazing wedding shooter and creator of the camera sling! Josh Thompson – Solid wedding photographer rockin' it out in Seattle! I have always wanted to visit the west coast, especially San Francisco. You see I grew up watching "Full House," a family show that took place in SF. Please do not hate on me, as I am sure plenty of you were/are fans just like me. Hey, Uncle Jesse totally rocked and I had a minor crush on D.J... okay, a major crush. My sincerest apologies for the cheesy photo. But I digress. I recently had the privilege to attend the Tofurious SEO workshop here in Chicago. I had a really great time and learned a ton of stuff. I was also able to meet new photographers, which is always a blast. Tofurious is taking the SEO workshop all around the States and he recently visited San Francisco. 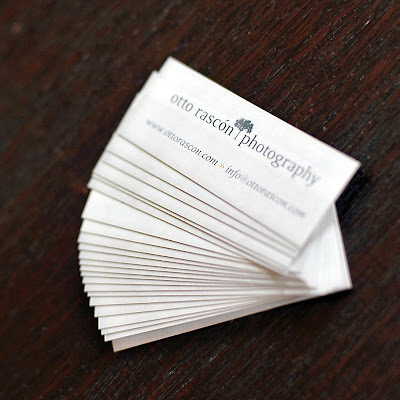 These photographers are now a part of the Tofurious SEO club and are VERY talented people. I have been checking out their work and I must say, they really do ROCK! I hope that I will be able to meet you guys someday soon! I read Jasmine Star's blog daily. I like her style and her photos are as unique and as fun as she is. So one day I see that she is endorsing an SEO workshop offered by a company called Tofurious. Trusting J*'s brand I naturally checked out what this SEO workshop was all about. I visited Tofurious' site and I am surprised to see the "A List" of photographers, such as Dane Sanders and [b]ecker, endorsing this workshop. My friend Ray Pryor of Emotia was already signed up to go, so it seemed that all signs were pointing me to this workshop. So I signed up and was in in for the SEO workshop ride. The day of the workshop arrives and I am pretty excited. I walk into the workshop room and see Lawrence Chan of Tofurious fame. We chat for a second before I meet Jules Wiegand (who ends up sitting next to me) and Kara Schultz. Ray sits down at the same table and we all chat for a sec. Then the studly Kenny Kim walks in fresh from his Italy workshop and sits next to me and then offers to pick up some Starbucks for anyone interested. Bob Davis ended up sitting at our table as well and brought along an amazing assortment of cookies. Thanks Bob! The workshop starts and the info pours in. I quickly realize how little I know about SEO and about blogging. Lawrence did his presentation and we all mingled in between the short breaks. I was able to meet some really amazing people at the workshop, all very talented photographers and smart business people. It was a pleasure meeting Doug Sturgeon , who came all the way from Toronto. Molly Michel from Madison, Kara Shultz, Jay Crihfield, and Dan Georgia, my friend from the Dane Sanders Fast Track Roadshow Workshop. I hope to see everyone again soon. These people are the salt of the Wedding Photography industry. We all went to get some pizza after the workshop. Here are a few pics from that fine dining experience at Giordanos. Here are all of the photographers that attended the Chicago SEO workshop. Check out their sites and leave some comment love! Kenny Kim – Life style wedding photographer and all around stud Bob and Dawn Davis – Celebrity wedding photographer Kara Schultz – Chi-town wedding and boudoir photographer Ray Pryor – Emotia photography - fusion wizard Jules Wiegand – Quirky Louisville (Louville) photographer Jay Crihfield – Chicago wedding photographer who rocks Navy Pier Kenny Nakai – Once a teacher, now a rockin’ historian and fellow Nikon shooter Eclipse Photography – Toronto Awesomeness and world traveler Molly Michel – A girl who titles her blog posts, “Wow” because it is expressive of her fun personality Dan Georgia – A photographer who captures the one’s uniqueness and fellow FTP'er Otto Rascon Photography – part graphic designer / part photographer – it will be the perfect marriage of art and photography - thanks for that discription Lawrence! I had a blast last night at the Chicago screening of Zombieland. I had seen a few previews of the movie and I was really pumped to go see it. So it was ON when my best friend David J. Fowlie (he writes for FanBoy Planet) told me he had scored a few screening passes from one of his favorite comic shops. YES!!! The overall atmosphere at the screening was amazing. It felt like a Halloween party, a pre-mature Halloween party, but a party nonetheless. My hats go off to all of the amazingly cool people that were out there with make-up and all - thanks for posing for me. You guys ROCKED and made the evening a memorable one! The movie was really good and Woody Harrelson was perfect as the lead character. You can read David's take on the evening on his blog. I recently had the privilege to photograph the Norther Illinois Pug Rescue & Adoptions (NIPRA) Pug Chug event. What is this Pug Chug event you might be asking. It is a charity event where pug lovers, of which I am one, gather together, drink wine and raise money to help aid in the rescuing of pugs. I would try to explain exactly how they rescue pugs, but you can read more about that here. This was a very casual gathering at the very fun and cool Juicy Wine Co. The event was hosted by non other than host of Check Please! Alpana Singh! My wife and I are big fans of the show, so meeting her was really a treat. I am glad that this organization is doing something they are passionate about and are helping pugs along the way. My many thanks to Jill and Alpana for making this happen. Thanks ladies, you ROCK! 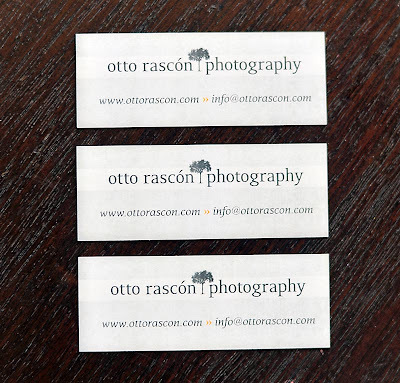 I just received my newest set of business cards from a company called myminicards.com. I am really happy with the service that the company provided. I uploaded my files via ftp on Thursday morning and then received my cards on Saturday! Not too shabby. The print quality on the cards is really good. The thing that sold me was the fact that I could submit up to 25 photos for the back of the cards as well as 1 file for the front. 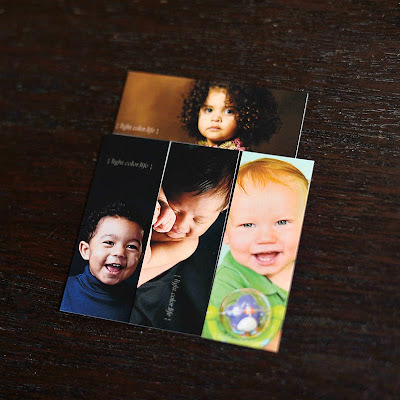 Most companies will only print photos on the back of the card and then print text on the front. My overall experience with myminicards.com has been great so far. The cards ship for free and come with a cool little card holder/dispencer. I might just go ahead and use them again for my next batch. I learned so much at this seminar. My head is still spinning with ideas. I am very appreciative to both David and Jasmine for their openness and honesty. I really took to heart when David said that "we are here to serve our clients". That is so true, and that is something that I strive to do with every wedding that I shoot. Where would we be without our clients? They drive us to excel and to get better and to continue learning. So my many, many, many thanks to David Jay and to Jasmine Star for sharing such great insights and precious nuggets of information. 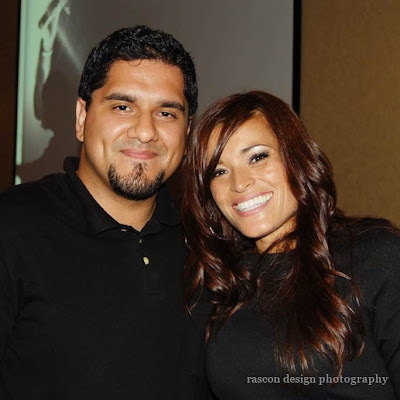 I also wanted to thank my friend and fellow Rock Star photog Veronica Hinojosa for hanging with me and for taking the photos of me and DJ and Jasmine. Rock on!! !